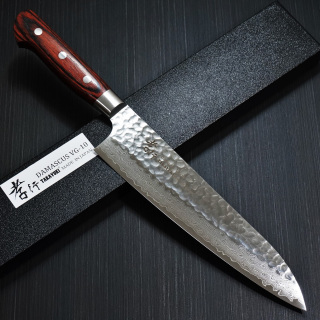 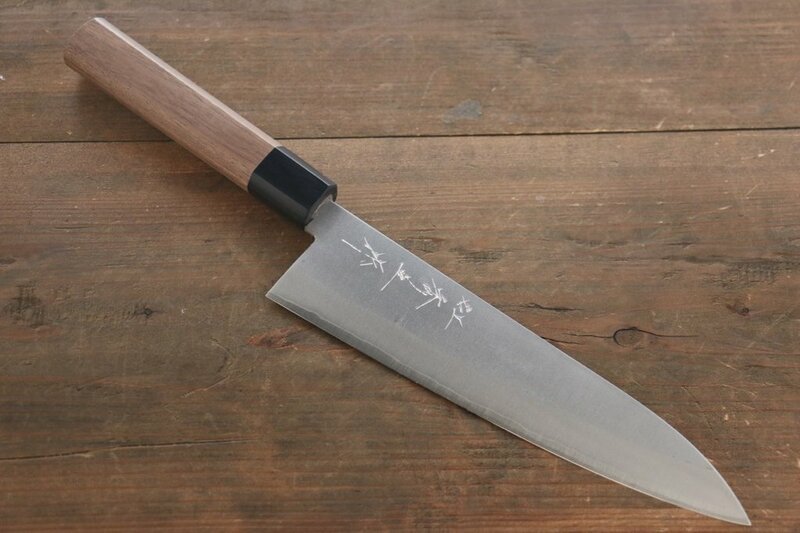 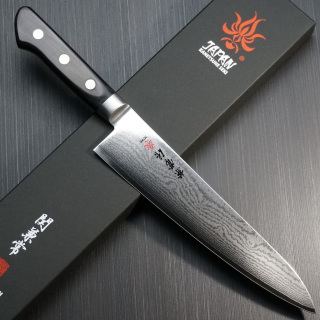 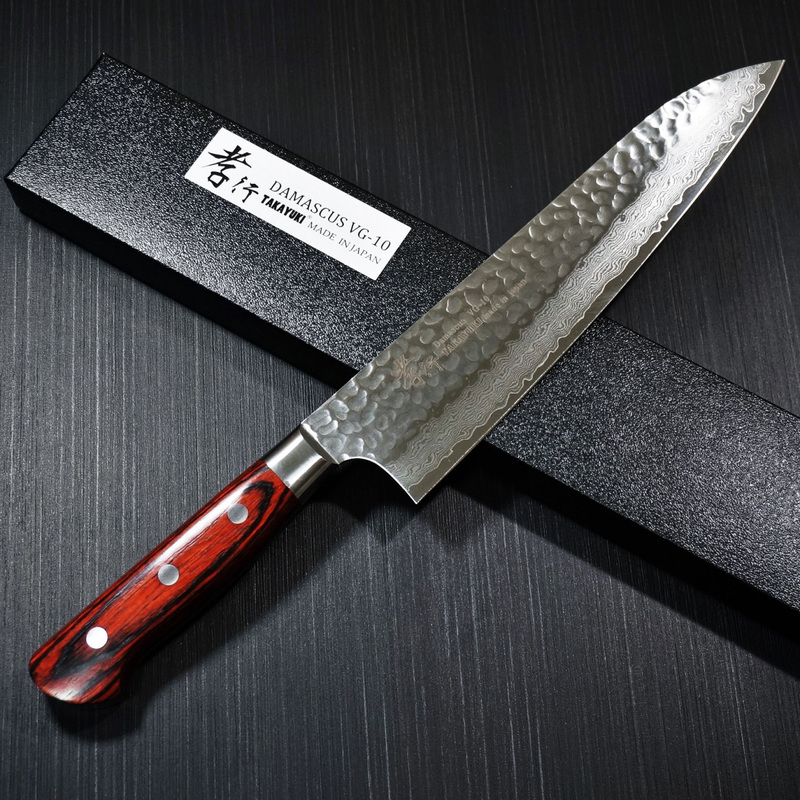 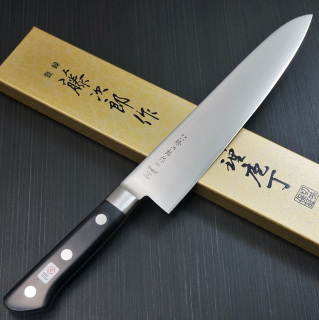 The Gyuto is a Japanese chef's knife with a Western style curved blade that smoothly rocks back and forth and has an extended tip for quick chopping that can be used to cut meat, fish, and vegetables. 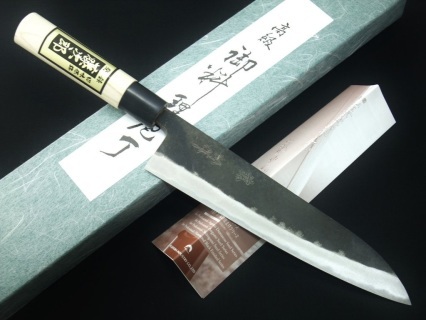 "Gyuto” literally means “beef sword” and was initially used for cutting meat in Japan. The Gyuto is one of the most versatile and essential of all knives a cook can have. 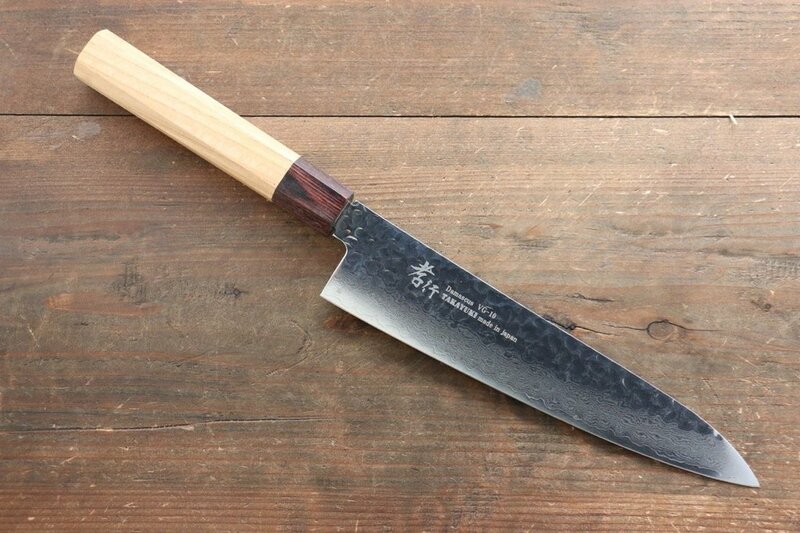 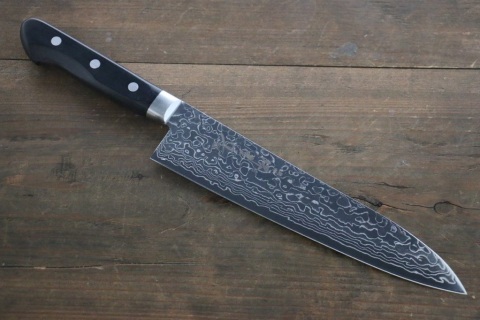 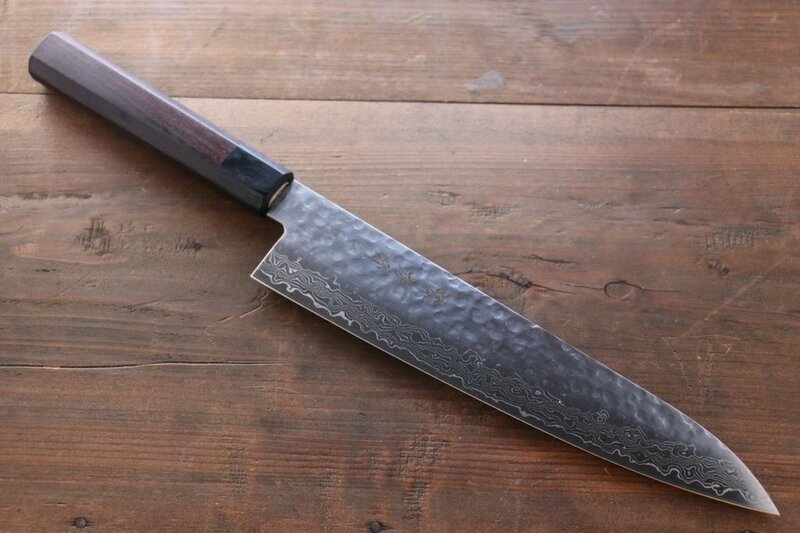 A 210mm Black finish Gyuto In the traditional style, widely used in Japan for centuries. 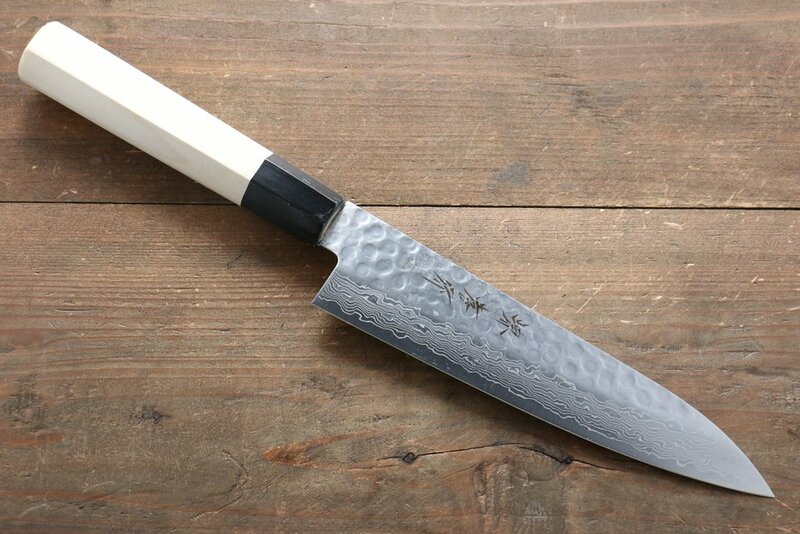 ​Light weight with a long lasting edge.